In with The Year of the Hare by Arto Paasalinna from Peter Owen Books came another enticingly unusual read, Exile by Padraic O'Conaire, translated from Irish by Gearailt Mac Eoin. The cover immediately reminded me of Eleanor Thom's The Tin Kin (which incidentally has deservedly made the shortlist of the Guardian's Not the Booker ) and my expectations of gipsy horse rustling slightly subverted with the discovery that the main man in this novel quickly gets run over by a car and loses both an arm, a leg and his good looks in the process, perhaps horse riding might be out of the equation. But I had made other interestingly prejudicial assumptions and those have since been exposed in my post-novel explorations. Exile recounts the life of this crippled and lonely Irishman exiled from his homeland in London with £250 compensation in his pocket from the accident and suddenly more fair-weather friends than he had dreamed possible. Once the money has drizzled away leaving just the empty bottles as a reminder, Michael hits the depths of despair wandering from one down and out experience to another, amongst other things as a circus freak, engaged to another circus freak, the Fat Lady. Michael's eventual demise eerily foreshadowing Padraic O'Conaire's, can he possibly have imagined that his own would be so similar. I knew nothing about O'Conaire but feeling that Team Ulysses affinity with Irish literature and a sense of exile that I'm starting to find therin, I was intrigued to know more. Born in Galway in 1882 and orphaned at the age of eight, Padriac O'Conaire appears to have fallen on his feet with adoption by a well-to-do uncle who gave him an education he was unlikely to have received otherwise, culminating in attendance at Blackrock College in Dublin. Emigrating to London in 1889 and securing a job with the Board of Education must have offered sufficient stability because marriage and children followed. For reasons I haven't been able to discover O'Conaire deserted his family and returned to Ireland in 1914, eventually dying alone and destitute in Dublin in 1928. Apart from the clothes he stood up in, in his possession just a pipe, a piece of tobacco, an apple and a pocket knife. Yet Padraic O'Conaire left a legacy of 26 books, 473 stories, 237 essays and 6 plays and I'll wager I'm not the only one who may not have heard of him. Written in Irish and it would seem very little as yet translated into English so lets hope Gearailt Mac Eoin, who translated Exile, is lining up some more. This delightfully evocative statue to Padraic O'Conaire's memory can be found in Eyre Square in Galway. I've read elsewhere of O'Conaire's skill in telling the simple story to demonstrate great and universal truths and it was easy to get a real sense of that as I read Exile and indulged in some lengthy after-book thinking . Unusual, slightly ambiguous and eccentric, yet compelling reading for all that and apparently a fine example of the first modernist novel to emerge from Ireland. There is a helpful essay by Angela Bourke on Padraic O'Conaire here which thankfully explained much that I hadn't been aware of as I read, but which made sense later. Revealing a great deal about the plight of the Irishman abroad in the early twentieth century and this is where those early and slightly judgmental assumptions of mine were neatly exposed. Often doing the most dangerous jobs, stigmatised by country of origin, language, accent and prey to discrimination and assumptions of inferiority, but the Irish also representative of an unspoken danger because of that difference. In creating a character as 'different' as Michael, Padraic O'Conaire covers all those great and universal truths and more, adding in the prejudices and stigma of physical disability and facial disfigurement which become an even greater burden, and an added complication as initial displays of sympathy are seemingly rejected and shunned as unwanted pity by Michael. There is much more here that I've missed I feel sure, so a little book of which I knew nothing has provided one of those unique reading moments, plenty to discover for the first time, more to be revealed on a second read and I wonder where all Padraic O'Conair's writing is? Who holds the archives and when and how can we read more? But that sets us up nicely for some more of the Irish tomorrow as Team Ulysses reach Camp Three. Commenting on the contentious subject of negative book reviews on blogs elsewhere this week, someone remarked that if I put up a negative post about a book (I had clarified that I don't presume to do reviews, far too subjective and emotional here for that and you all know my position ad nauseum on being the wrong reader for a book ) it would probably send them rushing off to buy it because they'd be bound to love it. From that I could only draw the inference that they assume we share wildly differing reading tastes, which is fine, but who can know what my reading tastes are because I'm not even sure I know that myself now. How can you pin it down in that way because over the last three plus years, and over 500 books scribbled about later, I think I've forgotten where my comfort zone was and writing the scribbles makes me range far and wide in an attempt to close no doors, so sometimes a really unusual book finds its way onto my reading pile. In fact can you believe it, I actually put them there myself because I’m always grateful for that deviation from the path of true comprehension. There is something quite unfettered and refreshing about reading something I don’t quite grasp immediately if I feel brave enough to persevere. To be beguiled and slightly mystified by a book's purpose, to turn the final page and start thinking ‘what on earth was that about’ all feels good for the vitality of a reading life like mine, keeps it sparky, edgy, unsettled and on its toes. So I was up for The Year of the Hare by Arto Paasilinna and published by Peter Owen. I'll admit I was sold on the cover for a start because I do like hares. Who can resist that dear little hare peeking its head snugly out of a man’s jacket as if it belonged there and by page ten it does belong there and you don’t want it anywhere else, certainly not leaping through a field or anything. And that the French have made this book into a cult all added to the mystique and then you wonder what sort of a sense of humour you’re likely to possess when you live ninety miles north of the Arctic Circle, surely you must have something special to share? Here beginneth bizarre but if can enter into the spirit of the thing it might help. Jaded journalist Vatanen, wearying of city life hits a hare whilst driving out on a country road. Leaving his car ticking over and a colleague sitting within, Vatanen hot foots into the forest after the injured hare and in a fit of guilt and wild abandon decides to throw in the towel on his life to date, job, marriage the lot and take to the wilds of Finland with the hare for company. There follows a series of unlikely adventures and disasters including being arrested for being in possession of a hare, a forest fire, a lot of alcohol and a very Mary Shelley-like final bear hunt that reminded me of a latter-day chase across the ice after Viktor's Frankensteinian monster. Whether it's the luck of the hare, or is it Vatanen's, but neither seem to be the harbingers of good fortune. As Vatanen discovers, ‘loving animals can be a heavy load’ and one of frequent and hilarious moments when the inevitable hare droppings cause much human mayhem as they end up variously in a pocket, a pulpit and a bowl of soup. Fable or fairy tale I’m sure The Year of the Hare must be an allegory for something, if only ways to box and cox with the ordinariness of everyday life, and could readily be invested with acres of diffuse and meaningful interpretations. I did get as far as checking out the symbolism of the hare in my trusty dictionary and discovered the usual things about moon deity, fertility, rebirth, rejuvenation, resurrection, intuition, light in darkness and much about trickster tendencies. The trickster reference rang a bell that had already chimed, because I had followed that line of enquiry when I came across Vatanen and the hare’s encounter with a raven, all reminiscent of my recent Ted Hughes - Baskin foray. 'Persons born in the Year of the Hare are talented and ambitious. They are popular with anybody and good entertainers which often makes them the centre of attention. Even though they are liked they are rather pessimistic, insecure and are afraid of changes. They almost never lose their temper and are very good-natured. Somehow that made more sense than anything in relation to this amazing little book, this hare most certainly takes centre stage and Vatanen is nothing if not insecure. Finally I said whoaaa and stopped myself, because this felt like a book I didn’t actually want to be too clever about understanding. It’s just a fabulously weird, whacky and original read not least because by page twenty there really seems nothing unusual about a man loping around a forest with a hare tucked in his jacket and if I saw such a thing tomorrow in the village I wouldn’t be in the least bit perturbed. Kill-joy mother that I was. Long may books like this leap onto my reading stack. and sit there waiting patiently for that bizarre reading moment to come along because it always will and it never fails. There is something other-worldly about Anna Kavan's writing and I enjoy it immensely. When I turn the final page I feel as if I've been a on a bit of an extra-terrestrial excursion and have to reground myself in my surroundings. 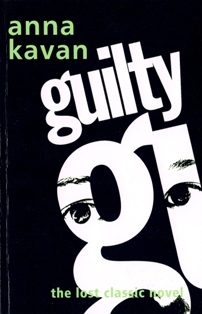 You certainly know you've had one of the most intense and concentrated reading experiences possible and it's easy to see why Anna Kavan has migrated into cult status. She takes you deep into the recesses of the human mind and you emerge the other side slightly disorientated. Her heroin addiction has probably helped this move into cult considerably and it's good to read anything by Anna Kavan with Jeremy Reed's fascinating biography to hand. 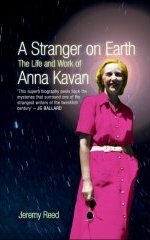 A Stranger on Earth The Life and Work of Anna Kavan is a revealing and moving account of the agonies of Anna's life as one of the first registered heroin addicts and offers a much deeper awareness of her writing as a result. "The love she'd always felt for her own beauty was her deepest, most sincere emotion, and for a while she was oblivious of everything but the reflection. She had no thought but the admiring wonder inspired by that lovely face, almost luminous in the dulled light, more radiantly beautiful than she'd ever seen it". You get the feeling that Anna Kavan would like to slap Rejane and she effectively does so within the pages of this book, because as a reader you can't warm to her even a fraction. The Parson the story of the greatest mismatch of all time. Anna Kavan uses the desolate setting of unnamed Northern moors to full effect.Cold and barren she invests them with a malevolence that is both sinister and increasingly malicious as the saga unfolds.With little effort on the part of Rejane, Oswald is completely seduced and degenerates from a kindly rather unassuming misfit into something of a monster. He behaves disgracefully towards Rejane for which he then suffers great pangs of existential regret. The Parson is a perfectly pitched little novel with a huge story to tell and a book that would warrant several reads before you'd even scratched the surface. Then turn to the life of Anna Kavan and read how she lived an existence outside the boundaries of the Arts world.A misfit and an outsider herself, sufficiently different and averse to the literary social scene and therefore looked on with suspicion and contempt by her contemporaries.Nursing a strange psychiatric history and one it's difficult to unravel from the heroin addiction, a chicken-egg situation, but whatever the conclusions Anna Kavan's psyche seems to have been all a bit of a debilitating muddle. 'Anna did not network or play the game because she had something better to do - write. She believed,as her sort of sensibility does, that the work should speak for itself, and in an ideal world it would...Anna herself was especially sensitive, especially vulnerable and intent on escaping nothing.Her strength lay precisely in her difference'. Oh no, typical woman here, not quite last words, I have more Anna Kavan to read and I relish the thought and hope some of you might give her a try. Jeremy Reed doubts that Anna would have found any consolation in being rediscovered in death after so much neglect in life, but I disagree. With the passage of time I would like to think that Anna might be quietly and humbly honoured. It's Anna Kavan time again. I'm enjoying tuning into her writing so much and having just finished her 1963 novel Who Are You? I think there is no doubt I will now have to read everything by and about her..thanks Kit at Peter Owen! 117 pages packed with a contrasting heat-laden langour yet menacing intensity that it is difficult to find comparisons for. Recently married off by her mother to an older man she nicknames Mr Dog Head, a nameless young girl finds herself deprived of her future at a university and locked instead into an oppressive and stifling life that is white, colonial and tropical. Her husband is brutal and uncompromising and his second favourite occupation is splatting rats with a tennis racquet. I'll let you guess his first. There now you know what you're in for, but nothing can prepare you for the way this book just shimmers so menacingly with the tension that rises inexorably with the temperature as the monsoon approaches.It's pure volcano-in-waiting as you stagger sweating and breathless to the conclusion. The denoument is again clever in its own way and to tell would be to spoil, but be ready to cheer uncontrollably at something ghastly but completely deserved and then shout "oh drat" a few pages later. I love books that make me shout out loud and write things in the margin.The uncertainty this ending creates is unusual and thought-provoking and perfectly matches what has gone before. 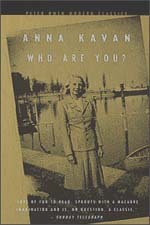 There is something intangible and compelling to my reading of Anna Kavan so far, nothing is quite what it seems but not in a dissatisfying way. "It's no good inventing a happy future for her, since she's always been unlucky, and always will be"
There is nothing in the least bit relaxing about this book so it may help to read it with a gin and tonic to hand and probably wise to wear loose fitting mosquito-proof clothes and switch on the ceiling fans to help cool you down. Keep a tennis racquet to hand just in case, which reminds me...no mustn't detract from Anna again, see next post. "The superlatives are all worn out; we have used them too often while trying to make some good book visible among others clamouring for attention,'Unique!' 'Unforgettable!' 'Extraordinary!' But these words are used of any old rubbish. Peter Owen says The Ice Palace (Isslottet) by Tarjei Vesaas is the best novel he has ever published, and that is saying a lot"
Born in 1897 in the wilds of Telemark in Norway, Tarjei Vesaas who died in 1970, is by reputation one of the leading Nordic writers. At this point I'd better clarify that I'm not an expert of Nordic literature but I do love a good atmospheric trip to the snowy wastes. 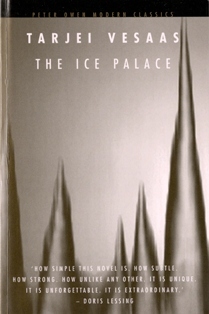 My first and only mistake was to pick The Ice Palace up and begin to read it during the evening and then to take it off to bed and carry on reading quite late into the night because I absolutely could not stop. Or does that only happen to me because my thermostat's gone haywire? I vow this may be one of the most impressive and haunting books you are likely to read this month, this year, this whatever. Living in rural snow-bound and ice-laden Norway, two eleven year old girls, Siss the outgoing and extrovert class leader and Unn, the shy and retiring outsider, develop a friendship of opposites.Unn goes missing having taken herself off to the nearby waterfall, now deeply frozen into its winter form and known as the ice palace. I'm not even going to begin to tell you what happens but it all reminded me of a trip years ago and a visit to the inner depths of the glacier at Grindelwald in Switzerland. I'm not a particularly claustrophobic or panicky person but even I had a tinge of fear deep inside those tunnels. There is something unforgiving, inanimate and very eerie about walking inside smooth, solid blue-green ice. Caves and pot-holes seem to have a quaint warmth of character and personality by comparison (not that I'd know because I wouldn't go in those either) but ice seems just plain bleak and scary.You wouldn't think you could invest it with much beyond its solidity but Tarjei Vesaas certainly knows his ice. I'm having a bit of a hyper-ventilating moment just recalling this part of the book. Anyway I then had the common sense to finish it in daylight hours and was indeed mesmerized by the whole thing. As the winter progresses the ice is covered with layer upon layer of heavy snow and this really serves its literary and geographical purpose to perfection. Has someone done a thesis on this yet? If so I'd love to read it, because snow does a great job on the emotions as they are concealed and repressed, blanketed and muffled.The community gathers and closes around Siss silently embracing and protecting her through her grief as she endures her winter of discontent, refusing to disclose anything about her friendship with Unn or the secrets shared or not. But cometh the spring cometh the thaw and with it the winter run-off taking all that has happened in its flow and leaving in its wake new beginnings for all those involved. I will most certainly take Peter Owen's word for it as the best book he's published. The Ice Palace has to be up there with the greats here and gains automatic membership of the elite special books shelf and it really deserves a new audience.It's a timeless read. "How simple this novel is. How subtle. How strong.How unlike any other. It is unique.It is unforgettable. It is extraordinary"
I can only apologize for being so distracted by bath plugs the last time I mentioned Anna Kavan.It can't have been helpful so now I plan to dedicate myself to the cause of Anna and ensure you all know about her without any deviation,hesitation or repetition whatsoever. A new writer, one I've never heard of has me scurrying to the online Oxford DNB first port of call, library ticket number in hand and there you will find a full and fascinating entry on Anna Kavan by Virginia Ironside. This I assume to be the one and the same Virginia Ironside who has for years been an Agony Aunt and now writes a weekly column for The Independent. If it's a different one then apologies. Virginia Ironside along with Doris Lessing and others are real champions of the writing of Anna Kavan. Anna could certainly have done with a Virginia in her life because it was not without its agonies and there is much in her early life that seems to underwrite the tribulations of her adulthood. Born Helen Woods in 1901, put out to a wet nurse and soon into boarding schools where she was often left alone during the holidays, you can only begin to imagine the loneliness of her childhood. Her father drowned when she was ten years old. As Helen Ferguson she weathered a violent marriage and wrote six novels before heading for divorce and heroin addiction in quick succession.Things seemed to settle if you could call it that, but in the process there were six suicide attempts,several attempts at detox and at one time in 1949, Helen, now renamed Anna, was one of only 200 registered heroin addicts in the UK. Thereafter entitled to the drug on prescription, as Virginia Ironside elaborates, sufficient was found stashed in her house after her death to flatten the whole of the street. From this crucible of trauma must have emerged much of the writing of Anna Kavan and Guilty, a recently discovered manuscript published by Peter Owen, has been my first foray into her work. Once you know her history it's but a small step to recognizing that pain reflected in the lives of her characters and perhaps a touch of the drug-fuelled narrative here and there.But the book works just as powerfully without this information, I'm just nosey.
" Kavan's is a dangerous frightening world - you don't go there for laughs". 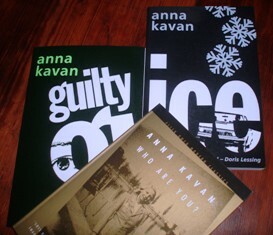 "In a sense, guilt has evolved me;without it neither I nor my other self could exist...I can accept my guilt now that I recognize it as my own creation"
Despite the grief and sadness there is an intensity to Anna Kavan's writing that is all a bit must -read -more -ish and I can't wait to start Ice and Who Are You which are sitting at ready.Yes, I'm with Virginia and Doris on this one, I'm delighted to have discovered Anna and she deserves a much wider audience than the three of us, oh and not forgetting Jennifer and Duncan of course. Anna who? Hmm is it just me again? Anna Kavan nee Helen Woods, then Ferguson, born in Cannes probably in 1901, two divorces, nervous breakdowns, heroin addiction, name changes.Frequently compared favourably with Virginia Woolf and Jean Rhys. Have you all been reading her books for years when I've never heard of her? Then I had one of those serendipitous random reading connections that just drops out of the sky. 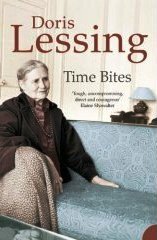 Among the books I heaved upstairs for ongoing and occasional perusal was a collection of the writing of Doris Lessing.Time Bites is an eclectic mix of reviews and occasional writings covering a wide range of subjects and I have been enjoying dipping into this for ages now. I start the bath running and then go and sit on the bed and pick up one of these reads and before I know it we're heading for overflow,always too much hot water in the bath, no room for the cold and too hot to put hand in and pull plug out. Then I must explain that no plugs are attached in our house and few have chains on them. This is historic and based on a near-miss casualty attendance with the baby Gamekeeper.He sat in the bath playing with a spare plug on a chain, whizzing it back and forth in his mouth and managing to thread a loose open link in the chain through the underneath of his tongue where it locked into place as firmly as if he was fish caught on a hook.Then, amidst the gallons of blood that you get from a small mouth wound, he proceeded to try and pull it out thus pulling his tongue further out of his mouth than any of us had thought anatomically possible.It was like something out of a horror movie and mass hysteria followed from the siblings also in the bath and rising panic from dgr kneeling by the bath. I'm ashamed to say my first thought as a nurse was the embarrassment of walking into casualty with a child with a bath plug hanging out of his mouth.However, because I'm a caring mother really, I quickly dismissed that thought as I then imagined what was going to follow on once he'd pulled his tongue out. Bookhound to the rescue as always with a handy pair of pliers. PLIERS I hear you shriek! Worry not, first he cut the chain short which offered a momentary lapse in the screaming for us to ponder the next stage.Piercing may be seen as a new and modern beauty aid but this pierced tongue was not going to be an asset.In the end we wrapped the baby gamekeeper up in a towel (much like the cat when we're trying to give it tablets) while bookhound pretended this baby was a fish and unhooked the chain appropriately and painlessly.Had I been a gin drinker I would then have downed a full bottle and been an alcoholic within hours but instead all chains on plugs were removed and they still give me nightmares to this day. Where on earth was I?Yes sorry Doris. As I browsed I came across a piece on Anna Kavan;Doris Lessing is great advocate for her writing. Coincidentally I had just looked just at the Peter Owen website and discovered that they are about to publish a book recently discovered in the archives at the University of Tulsa, Guilty by Anna Kavan. I now have a selection of Anna Kavan's books before me and I'm quite excited at the discovery of another new writer for me.Much more about her soon I'm sure. Further on in Time Bites a piece by Doris Lessing on the novel that Peter Owen says is the best he has ever published and yet another new writer for me but that needs a post of its own I think and will necessitate us all trotting off to the fjords. Stream of consciousness or what. 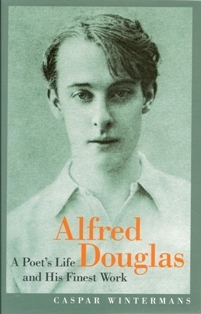 New and interesting territory for me as I read Alfred Douglas: A Poet's Life and His Finest Work by Caspar Wintermans and published by Peter Owen.This a very readable account of the infamous but lesser known life of Bosie, the cause of all Oscar Wilde's troubles.Oscar's revenge came in the shape of De Profundis and by this was Bosie judged for ever more. Much maligned and scorned for a great deal of his life poor Bosie took to litigation for redress more times than was good for him. Bruised and battered after dragging Arthur Ransome unsuccessfully through the courts, Bosie then found himself mixing with the big league.To my complete surprise it was no less than a litigious encounter with Winston Churchill that finally sent Bosie the way of Oscar and a term in prison disentangling some oakum of his own. Caspar Wintermans sets out to revoke the considered opinion of Bosie as "the most complete cad in history" and to a large extent I think he succeeds. Two sides to every story and like many I only knew one and that was Stephen Fry's.It's years since I read Richard Ellman's biography. Tragically Bosie's early life of beauty and privilege as the son of the Marquis of Queensbury did not endow him with many coping mechanisms.It was prison that reformed him by all accounts and he emerged a changed man, though he still aroused a great deal of suspicion and animosity. When John Betjeman's mother discovered her son's correspondence with Bosie you can only begin to imagine the scene. John was ordered by his father "to concentrate on outdoor athletic activities rather than reading decadent verse".John resumed his friendship with Bosie and his wife Olive some years later and found Bosie to be "a gentleman with beautiful manners"
Which brings me nicely onto Bosie's poetry contained in its entirety in this volume. It had little impact on me before I'd read the biography but following on afterwards and with an impression and a context now firmly established there are moments of real poignancy to be found. The poems mirror the events of Bosie's life much as a diary might have done. Nor worn self-righteous anger like a dress"
The notes that accompany the poems are something I would usually skip but therein some nuggets of new knowledge for me. I now know what a St Martin's Summer is and how exactly Edward II may have been tortured and susequently died. A St Martin's Summer that period around his feast day on November 11th often characterized by a period of mild weather in England apparently. Regarding the fate of Edward II, well, astounding.No plans to elaborate here, you'll have to research that for yourselves but I recounted it at the dinner table and there were groans all round. "For this be all thy sins forgiven thee".